Would you like to relax on the cottage porch and watch the leaves change colour? Are you hoping to get one last fishing trip in with your friends before the cold weather takes over? Then from September 8th – October 12th take advantage of Delawana’s affordable fall rates! You can spend a weekend at one of our sought after family cottages for only $900 or book a few of our suites, ranging from $225 - $300, with your friends and family for a weekend! 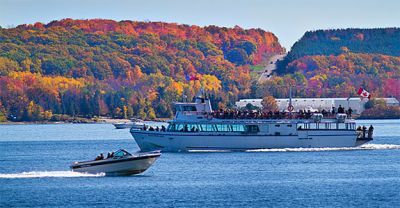 Experience what fall is like in Muskoka by staying with Delawana Resort! Call Guest Services at 1-888-557-0980 to guarantee your booking during Delawana’s 2015 fall season.